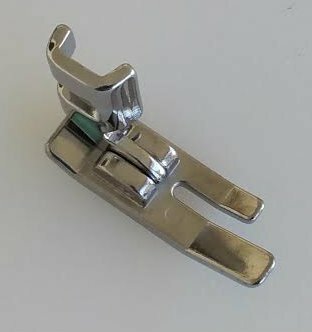 Replacement for the original foot for your Singer 221. Nova uses the original foot on her 221 with Nova's Sew Straight Guide and a stiletto to guide her fabric. The stiletto can pass between the original foot and the Guide, so the fabric is never unguided.